Vatican City, 28 February 2013 (VIS) – This afternoon, shortly after 5:00pm, Benedict XVI left the Vatican for the last time as Supreme Pontiff. A few moments earlier, in the San Damaso Courtyard of the Vatican Apostolic Palace, Cardinal Tarcisio Bertone, S.D.B., secretary of State of His Holiness, and other members of that dicastery bid him farewell. In full military regalia, the Swiss Guard troops paid him homage. Also present were Cardinal Agostino Vallini, vicar general of Rome, and Cardinal Angelo Comastri, vicar general of His Holiness for Vatican City. Many of the workers of the Vatican City State, with their families, were also in attendance and greeted the Pope with warm applause. Shortly afterwards the Holy Father, accompanied by his private secretary, Archbishop Georg Ganswein, prefect of the Papal Household, took a car to the Vatican heliport where the dean of the College of Cardinals, Cardinal Angelo Sodano, greeted him and he boarded the helicopter that carried him to Castel Gandolfo. As the helicopter lifted off, the bells of St. Peter's Basilica and the churches of Roma began ringing. The Pope's helicopter flew over the city of Rome, passing by the Colosseum and St. John Lateran Basilica, and landed at the Castel Gandolfo heliport just after 5:20pm. Awaiting the Holy Father were Cardinal Giuseppe Bertello and Bishop Giuseppe Sciacca, respectively president and secretary general of the Governorate of Vatican City State along with Saverio Petrillo, director of the Pontifical Villas, Bishop Marcello Semeraro of the Diocese of Albano, and civil and religious authorities of the area. The Pope was then taken by car to the Castel Gandolfo Apostolic Palace, where he was greeted by hundreds of people while the bells of Castel Gandolfo's parishes rang out. Benedict XVI's pontificate concludes at 8:00pm this evening (Rome time), at which time the period of the Sede Vacante begins. The Swiss Guards will no longer be in charge of his safekeeping—which detail will then be undertaken by the Vatican Gendarmerie—and will return to the Vatican to offer their service to the College of Cardinals. During this period the twitter account @Pontifex will be deactivated. 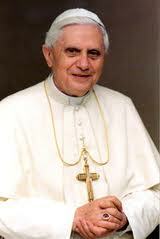 Once elected, the new Pope may, if he so desires, take over its use. 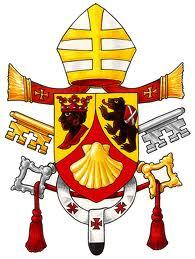 Benedict XVI's Fisherman's Ring and the seal of his pontificate will also be destroyed at that time and the papal apartments in the Vatican Palace will be sealed.